If you've ever felt that your prayers don't count, Intercessory Prayer will show you just how vital your prayers are. Pastor and teacher Dutch Sheets explains the nuts and bolts of prayer, with wisdom, gentleness, and humor. This book will inspire you, give you the courage to pray for the impossible, and help you find the persistence to see your prayers to completion. Discover your role as a prayer warrior! 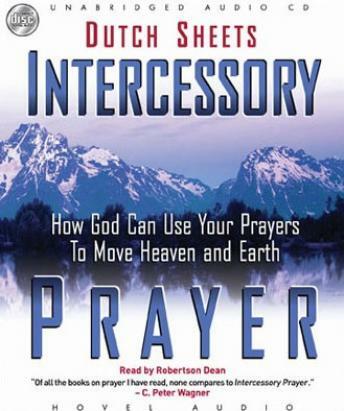 Love this book definitely taught you how to do intercessory prayer for people you know and don't know.